In the coming days – until the launch of the crowdfunding-campaign I would like to explain you how the artwork of the graphic-novel is developed. As the example I use our pilot-episode. The first panel of a comic often is used for several important purposes: It has to explain the reader where the story happens – on a time-scale as well as geographically. It has to set the mood for the following pictures and often the acting characters enter the stage. And if you want to pack everything into it, you lay out some storyteller’s bait to lure the reader into the story. Especially at this important point you have to consider all relevant aspects regarding composition, design and illustration. Those aspects are important for all other drawings of the comic as well, but especially if you start your story with a really large picture – the so called “establishing shot” – they play an important role. In the following panels you are often only working with parts of them. In this and the following three parts of this short series I am going to address all aspects. The reason for this is that we are going to work with short-stories of round about 6 pages in “Großväterland”. That means the storytelling is more condensed as if you were telling one complete story in 32 or more pages. The establishing shot is a good way to get right to the point. Most of the time I am author and illustrator in personal-union, so I often work really intuitiv and keep the visual layout in mind as well as the content. But as “Großväterland” is a collaborative project and its content and structure has to be coordinated with Alex Kahl and Christian Hardinghaus. 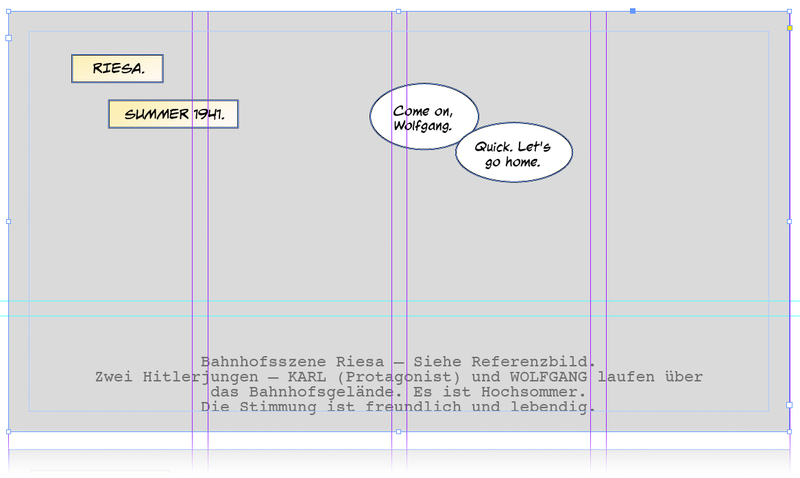 So I came up with a way how I can visualize the page-strucutre and the contents without the need to draw even one line. 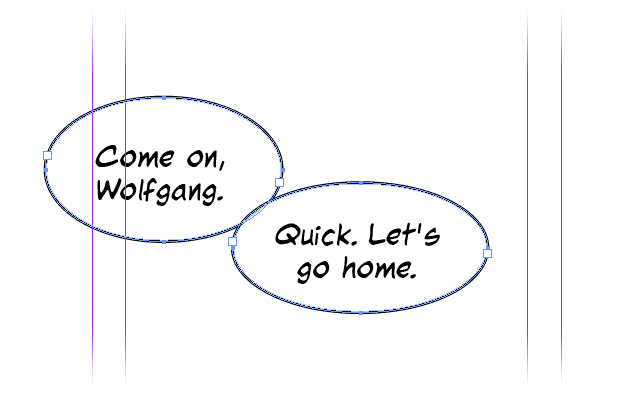 I call this “visual scripting” as I combine the classical comic script with the panel layout. 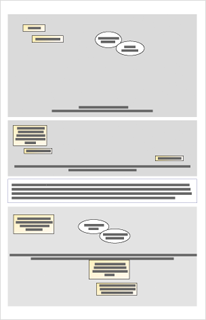 In Adobe Indesign I built a panel structure within my page layout, describe the content of the picture and add some early textboxes and speechbubbles. You can see an example in the picture on the right. For me it is a great help as I can see later on at which position I spare some space in the drawing. Place (Riesa) und Time (Summer 1941) are established via textboxes. Although the concrete date for the plot of this first episode is already fix, we are not going to spoil it here. I just want to show you, who the mood was in summer 1941 in Germany: Pretty good. There was something like a good reason for feeling invincible somehow. Especially if you grew up in a time in that the two “Hitler-Boys” Karl and his friend Wolfgang (Hitlerjugend was the youth-organization in the Third Reich in which 98% of the German youth was in). Their story will be told in the first episode. A very important part of our work shows up in the short-description of the panel: The clue for a reference-picture. As a matter of fact we depend on a lot of historical reference material for the visuals. We use classical sources as books or photographies as well as museum. 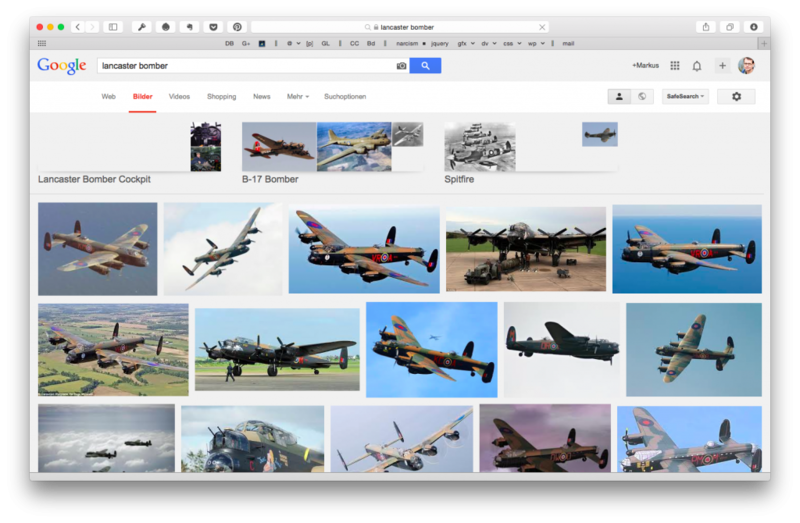 Especially the web is a real treasure-chest for picture- and info-material. For our establishing shots we are pretty lucky: We found a great historical photography of the trainstation in Riesa. Therefor I chose to point it out so particular in the panel. Ok. More of that you can read in the next article that will be published on friady, October 24th. If you don’t want to miss a new posting about “Großväterland” follow us in the social networks (upper right corner) or subscribe for our mailing-list. 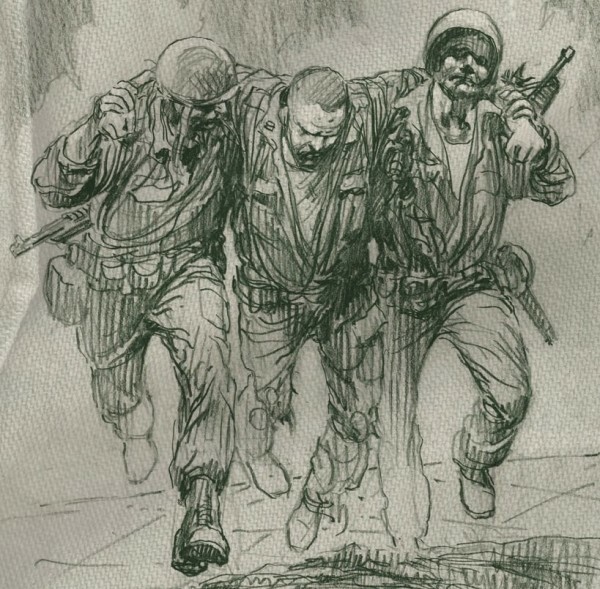 “Is the comic the right medium for such an important topic like WWII?” – this is a really obvious question. And the answer is short: It is exactly right. Please consider: In the german speaking world the common association with the word “comic” is mostly wrong. Almost always people think about the cartoony-style like Micky Mouse or Garfield when they hear comic in contrast to the franco-belgian or anglo-american parts of the comic-world where the expression means sequential storytelling with pictures. A true classic. If not THE classic of the modern comic in the field of graphic-novels. 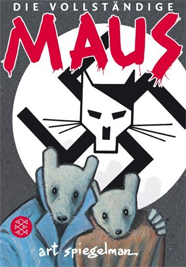 Spiegelmann tells the story of the Holocaust and the experiences his family made. He uses mice and cats as characters and uses them for the mentioned abstraction without leaving the horrors out. 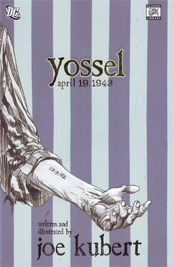 This comic taught me, Markus Freise, more about the conflict between Israel and Palestine that I learned in 40 years of history-classes and news reading. 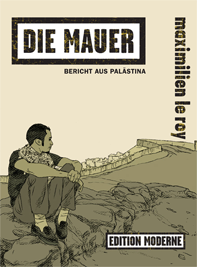 The book is about a young palestine man who becomes friends with a french comic-artist and tells him his story. With a lively stroke of his pencil and strong storytelling those two let the reader understand the complex matter. One of the most important inspirations for “Großväterland”, even if our project has a different structure. Tardi, a french comic-artist, narrates more in memoryshreds than in episodes about WWI. He manages to show the horrors of war with his unique style of drawing, leaving any gore or splatter-effects out. It is pretty difficult to describe his Style. Just take a look at the following examples. 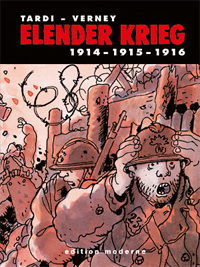 There are a lot more mentionable works by Tardi, that pick out WWI as the central theme. And there is one book in which he tells the story of his father as a POW of the Germans in WWII.